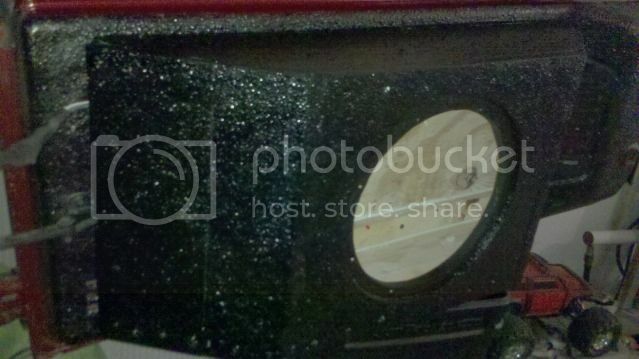 JKowners.com : Jeep Wrangler JK Forum > JK Tech > Write Up Dept. 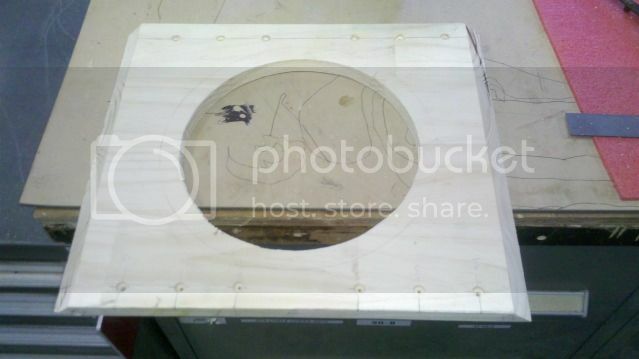 (The Library) > Custom 10" Speaker box. 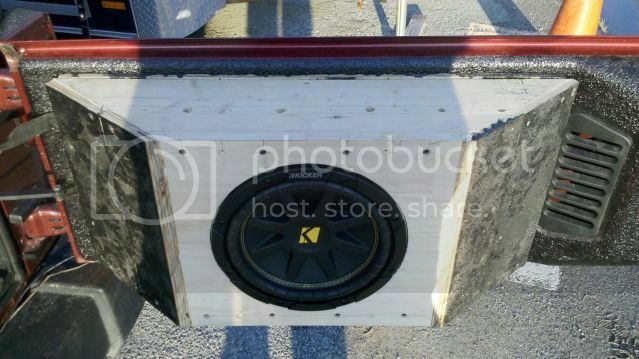 I build this box over a year ago and by far one of the best modifications I have done. 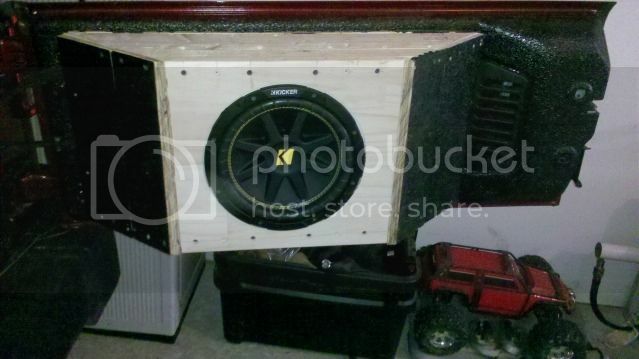 All air requirements for the speaker was taken into consideration when constructing the box. 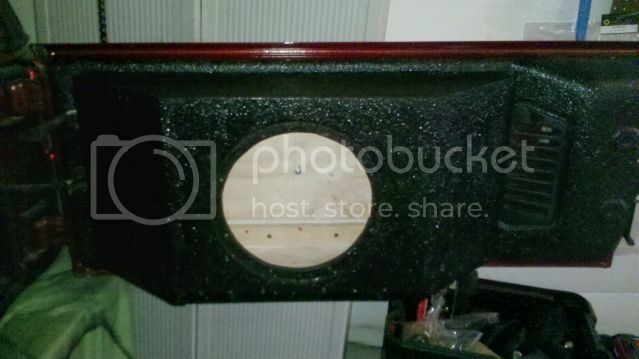 Because it is in a Jeep and will be getting banged around I built the frame of the box out of 2x4 and then finished I Herculined the box to match my tub, provide concealment from passing eyes and make the box weather resistant. 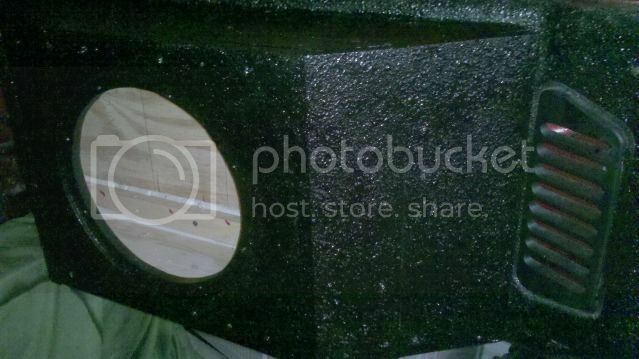 To start off I Herculined my Jeeps tub and tail gate. I left the top strip of the tailgate non-lined as I did not want the bedliner damaging the window seals. On the work bench consist of two 2x4s one cut in half then each cut at 45 degree angle. 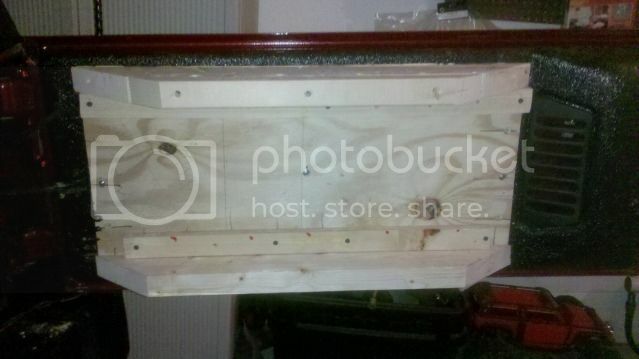 Face of the box is 1/2 shelving board the sides of it are also cut at a 45 degree angle to match the angle of the frame. 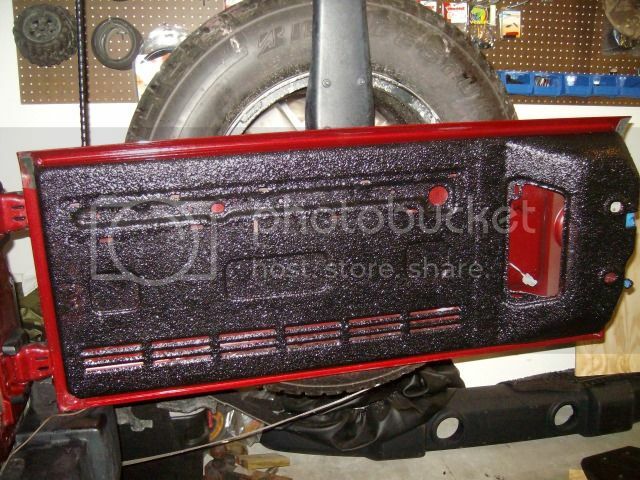 here is the frame being fitted to the tail gate. 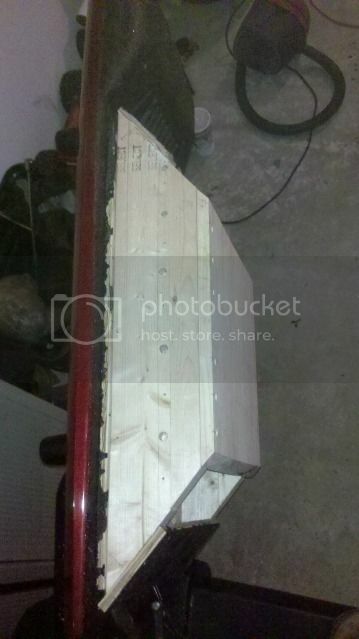 I have a piece of 1/4 inch ply wood screwed into the tail gate, then the frame attaches to the tailgate with 4" screw that are counter sank in wood far enough the will attach to the tail gate without going all the way through. The 1x2 were removed they really served no purpose. 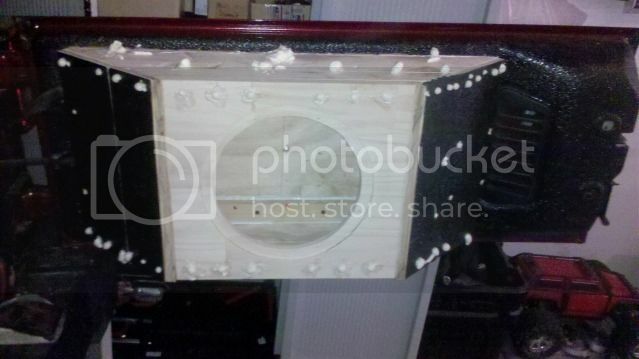 Face of the box, hole for 10" speaker cut and counter sank so the speaker does not stick out form the box. 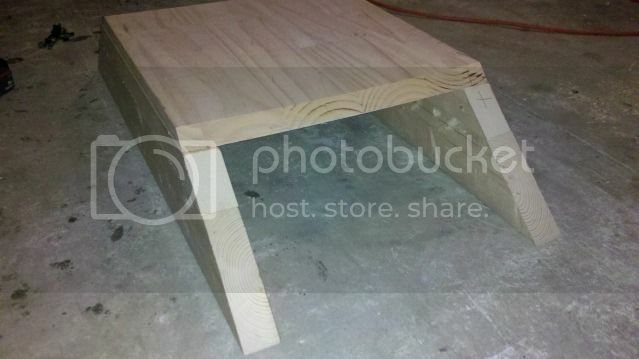 Top vied with one part of the side on it was notched to the door stop would still fit. 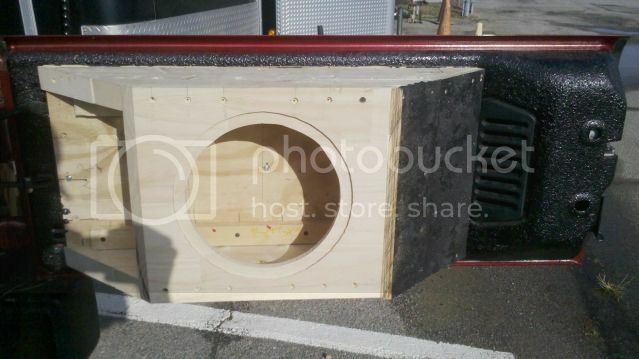 Sub is nice and flush, The thicker wood will allow for a decent cover to protect the speaker and not cause box breakage. Not really concerned with weight as I have a swing away tire carrier so I reduced the weight by not having tire on tailgate. Box mostly assembled I filled in all screw holes with great stuff foam as well as sealed the box. then I applied the Herculiner over it so the screws are not exposed t the weather and rust. 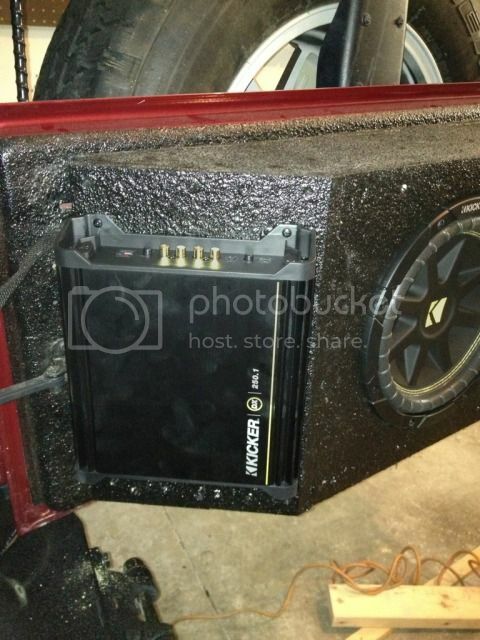 With amp mounted. 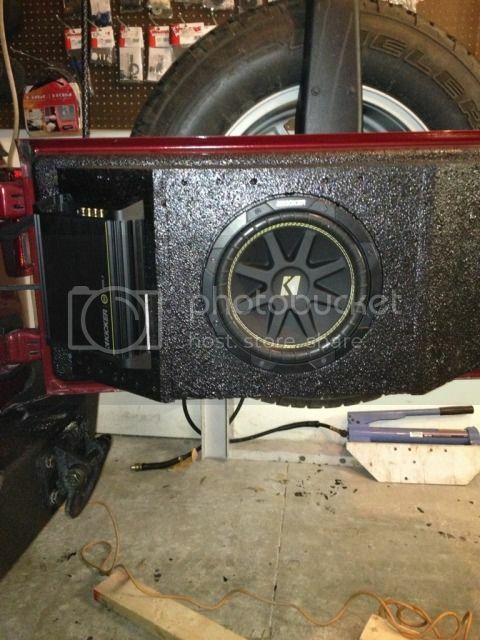 The angles on the side of the box allow for proper clearance of side panels as well as clearance for the amp. I will get some detailed detentions posted up ASAP I know a few people have asked for info. Any plans to get a teraflex tire carrier to help support it!